Welcome to the Australian Police Football Association Inc. 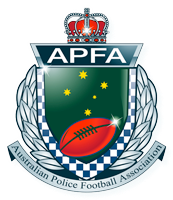 The Australian Police Football Association (APFA) Incorporated is a proud group of Police Officers and support staff who annually meet to participate in the National Police Football Championship (NPFC). This annual event is usually held in the first week of October in a different host State each year and comprises nine (9) games over three (3) competition days, with a day break between each game. Each team will play three games and the Championship is decided by the team with the highest win/loss or percentage. The 2017 National Police Football Championship was held in Adelaide, South Australia. All games were played at the iconic Norwood Oval (Coopers Stadium), in the leafy eastern suburbs. All but Wednesday were great days for footy and it was always going to be hard to beat the SA Hounds on their home turf. With 3 wins against QLD, VIC and WA, the Hounds took out the Championship once again. 2017 saw a record number of participants and support staff. The East v West Legends match was played with great spirit right down to the last ‘point’ which incidentally was a goal causing East to win by the slimmest of margins. Thank you to all that participated and attended the John Halbert Room for the final dinner at Adelaide Oval. The Oak iStay Precinct proved to be a great place to house our participants as well as The Cumberland Arms Hotel which was a great resource for members seeking food and beverages. We look forward to Hobart, Tasmania in October 2018 for our 30th Championship. If you wish to advertise in either the APFA Journal or APFA Commemorative Diary, please contact Emergency Media to find out how. 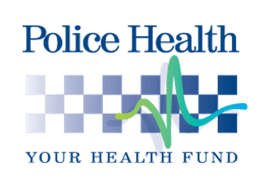 If you wish to Sponsor a team or the APFA Inc. as a whole, please contact our Director, Sergeant Zac Cook via email zacary.cook@police.sa.gov.au to discuss the various options available. By supporting us you will be supporting Police Legacy.